Female members of a congregation talking to a pastor. 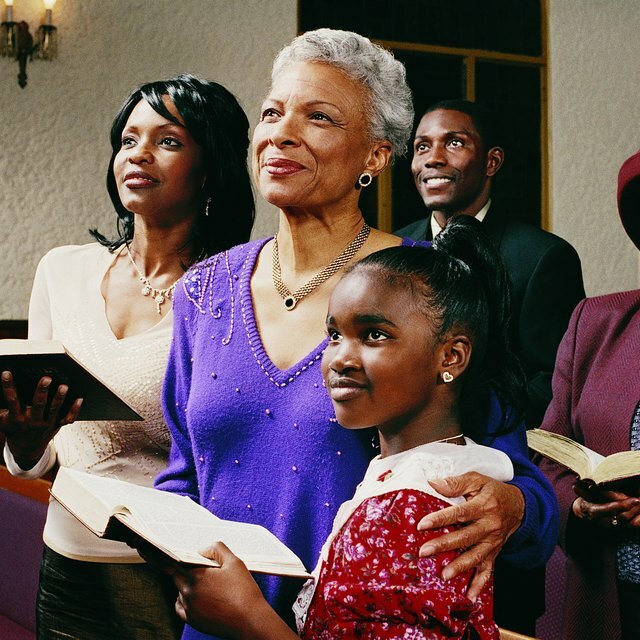 In some predominantly African-American churches, pastors and congregations acknowledge older women who exhibit deep understanding of their faith and ability to communicate their knowledge with reverence and respect for their wisdom. These "church mothers" serve in a variety of roles, some more theologically oriented than others. Church mothers have served as vital members of their congregations for generations. 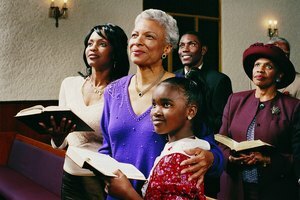 They are fulfilling an oral tradition "of passing on cultural meanings like the value of children and self-reliance to succeeding generations," says Jane W. Peterson in the Web book Elderly Black Women in Family and Church. However, as the Augusta Chronicle reports, church mothers are increasingly difficult to find. Serving in such Christian denominations as the Baptist and Pentecostal churches, the Orlando Sentinel notes, church mothers often show younger women spiritual ways of strength that promote healthy family lives. Representing stability and godly reverence to their faith, church mothers may help guide young women away from behaviors that can cause troubled home lives. They model and teach acceptable behavior, and they often maintain high positions as church mothers for all their lives. 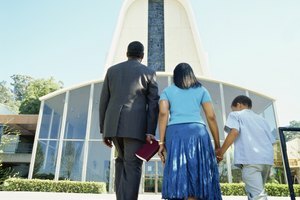 Just like a mother in the family home, a church mother may encourage the youth in her church and share her wisdom to help guide their way through life. Church mothers usually earn their appointed positions based on years of dedication, study, worship and prayer. A church mother often has deep knowledge of the Bible, may serve as a member of multiple church organizations and may also possess oratory talents. Even sitting in the congregation, church mothers often display the dynamic nature of their faith with lively singing, prayer and "amens." They lead from the pews so others will follow in their fervent footsteps. 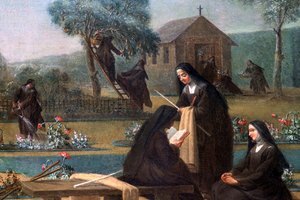 Among numerous possible responsibilities, church mothers perform educational work for their churches. Such women, in some Christian denominations, will hold a distinctive honor of teaching from the pulpit. In her duties as a religious educator, a church mother refers to relevant Bible passages and exemplifies the meaning of mother, writes Peterson. 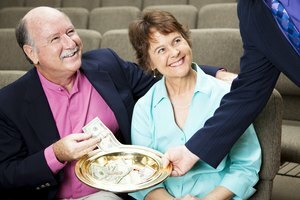 Pastors rely upon church mothers for filling needed roles across a broad spectrum of ministries. Some mothers lead Bible study groups and lead ministries to members of the wider civic community. In religious traditions and denominations with established hierarchical and gender-based structures, age can represent a way for women and men to participate as respected agents in church life. Peterson writes that The New Testament offers scriptural basis for employing the gifts of wisdom elder women offer a church community. According to 1 Timothy 5:9-10, widows at least 60 years old earn legitimacy as wise women who can participate in important ways in church life. Church mothers, by virtue of their years and experience in family life, have the potential to act as leaders in their congregations. Baptiste, Marie. "Duties of a Church Mother." Synonym, https://classroom.synonym.com/duties-of-a-church-mother-12082480.html. 29 September 2017.